It’s a Brussels Sprouts Christmas! We will be at market this Saturday, just in time for the Holidays. Bundle up and come on out. As you all know the Brussels sprouts just didn’t quite size up in time for Thanksgiving. 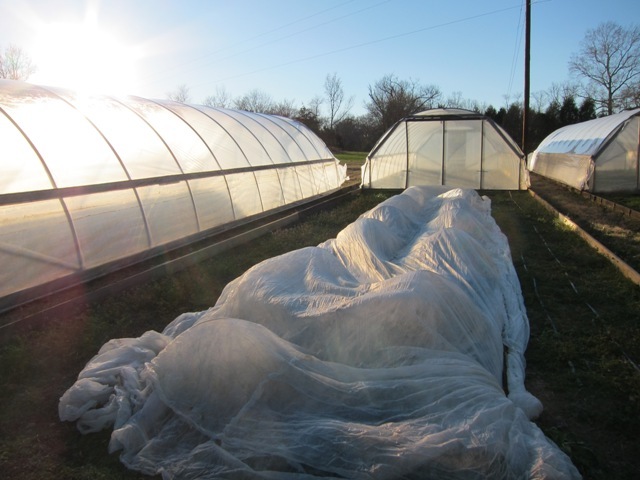 So we have had them protected over the last month as they slowly grew in the very short and cold days of December. In addition we will have those incredibly sweet Carrots, some very nice Japanese White Turnips and hopefully some Green Boston Lettuce if it has made it through the cold OK. Look for the last of the very fresh Ginger that we grew as a test this year. Maybe some Collards too.